Speed up Your Website... with Memcached! Statistics concerning the importance of speeding up your website show that high performance is fundamental for good user experience. In 1999 the „usual“ website loading time used to take about 8 seconds. This was back in the days when the Internet would have very low speed. By 2004 many users already had access to a high-speed Internet connection as this influenced the need of speeding up website as the expected loading time went down to 4 seconds. Five years later, in 2009, the optimal time was already 2 seconds. It is a truth universally acknowledged that good performance speed is a must for every website. The good news, however, is that the demand for faster websites stimulates development of specific technologies that enable us to speed up our websites. Thus we can meet the growing user expectations. There might be numerous reasons for a website to load slowly. In the series „Tips from the support“ we presented to your attention the main reasons for slow website loading, how we can discover and deal with them. 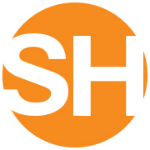 Part of our mission is to offer our customers pieces of advice and solutions for speeding up their websites. We believe this is a factor for the successful development of their online projects. Today we are happy to present to your attention one more tool for speeding up your websites, but namely - Memcached. We are also very happy to present one more tool for speeding up your websites that recently became a member of our hosting services – Redis. All our customers who are using the hosting plans/a> SuperPro, SuperHosting orManaged VPSenable Redis in cPanel. For the websites using the new PHP 7.х version we recommend activating Redis instead of Memcached, which is suitable for earlier PHP versions. If you have a WordPress website, you can automatically activate speeding up in cPanel -> WordPress Manager -> Speeding up. The W3 Total Cache plugin will be automatically installed on your website and the accelerating technology (either Memcached or Redis) will be selected in accordance with the PHP version the website is using. Memcached is an open-source software used to accelerate the operation of dynamic websites. Memcached caches data and objects in the RAM as they come from the execution of queries to databases, API fetching or results from loading pages. It was first developed to accelerate the operation of LiveJournal. Nowadays it is widely used by many websites such as Wikipedia, Flickr, Twitter, Youtube, WordPress, Digg, etc. You can enable Memcached in your hosting account via "Memcached Manager by SuperHosting". 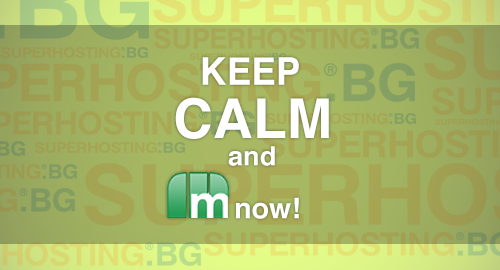 This is a plugin especially developed by SuperHosting.BG. It is available in your cPanel as it enables you to activate Memcached quickly and easily. The caching feature has been available for several months and many of our customers already benefit from it! Pay attention that Memcached needs to be activated not only in your hosting account, but also on the website itself. The most popular CMS support Memcached. Memcached is supported also for the Linux hosting plans SuperPro and SuperHosting. Speed up your websites with Memcached to achieve a great and memorable user experience!